Hello and welcome to Episode 244 of Linux in the Ham Shack. 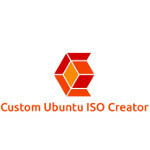 In this episode, the hosts take a deep dive into the LHS Linux distribution, based on Ubuntu. The distribution was created using Cubic and will be distributed, among other methods, by BitTorrent. We take a look at these two technologies and how they can benefit everyone in the Open Source community. Thanks, as always, for listening.